The PCH Lotto Bigger Bucks Millions is a standard lotto game where you have to pick 8 numbers on the screen to participate in this event’s drawing! Or you can click the “PCH Quick Pick” button, and the computer program will select numbers for you. So, you pick your winning numbers for lotto or you use the quick pick. But primary, you need to be a registered member of PCH Lotto Games to be granted access to the PCH lottery game. It’s a simple task, you do this by clicking the “register” link on the upper right corner of the screen. Then, you will be redirected to the account creation page where you will be prompt to enter your name, street address and email. A choice of a username and a password will be require. Once done, you will be granted access not only to the pick winning numbers page of PCHLotto Bigger Bucks Millions, but to all PCH Websites and Games like PCH Games, PCH Slots, PCH Instant Bingo and PCH $5000 a Week Forever Superprize. Could you imagine yourself suddenly richer with a few million dollars in your bank account. Publishers Clearing House has always been there for Americans, giving them a chance to become the next millionaire. PCH Sweepstakes and Lotto are dreams on a silver plate where no purchase are needed to win. Over the years, Publishers Clearing House has change the life of so many winners and still do today. You may be the next winner of this incredible amount of money. Nothing to buy, so you have nothing to lose. 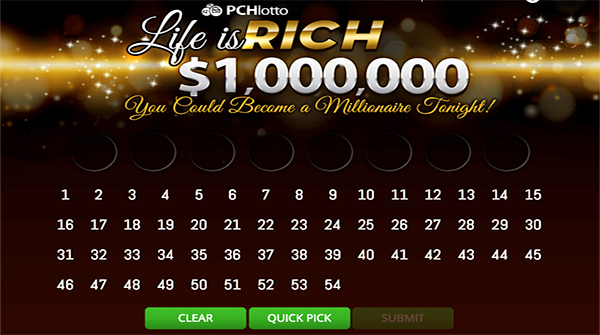 Go ahead and try it – PCHLotto Bigger Bucks Millions. You may be the next PCH Millionaire. Good Luck! « PCH Payment – How Can You Pay For Your PCH Orders? Claiming the power prize, mega prize..
And life is rich…,.Life really Is rich and beautiful.. But it depends on how you live life…. Live each day like it’s Golden. 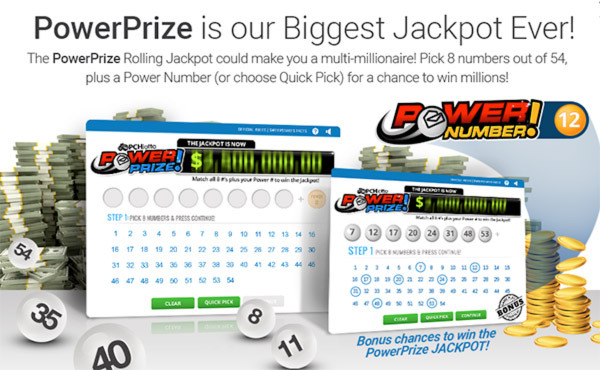 I hope to win the game Power jackpot of 4,978.632.00 that would be a dream come true for me and my family. YES. YES. YES. YES.!!! THIS IS MY FINAL STEP FOR TODAYS NOTICE FOR $4,978,623.00 PCH GWY NOS. 7600 & 7667. THIS IS MY FINAL STEP TO BE IN FULL COMPLIANCE WITH TODAYS ELIGIBLITY REQUIRMENTS TO SECURE THE OPPORTUNITY FOR WINNER SELCTION. THANK YOU. I, Robbin Perry is claiming the final step search for pch gwy. Nos. 7600 & 7667 for $4,978,632.00 on March 3, 2018. I’m claiming my winnings and legacy. Yes I Want A Chance To Enter The GWY for March 3rd. Pch I would like to please activate my finale steps and to complete todays eligibility requirements and claim a chance to win a prize in the amount of $4,978,632.00 payment to be awarded on march 3rd. Much Mahalo. I want to win real bad .I want to claim gwy 7600 and 7667 to win PCHLOTTO of $4,978,632.00. This is the largest jackpot I have seen . I will be smiling after the winner is picked. Love to play the games. I would be on cloud 9 if I WON $ 4,978,632.00 on March 3rd. My family could really use it. Hope to see PCH then. I WOULD LIKE TO TAKE MY FINAL STEP AND SECURE TO WIN $4,978,632.00 SUPERPRIZE MARCH 3RD. PCH GWYS NO 7600, NO 7667. THANK YOU. I want to win 4,978,632.00 Big Jackpot so I can enjoy the life I want to live forever. My Entry and secure my eligibility to Win $4,978,632,00 life-Changing Prize from PCH Gwy,No,7600 and 7667 on March 3rd. I WOULD LIKE TO SECURE MY ELIGIBILITY TO WIN PCH GWY NOS. 7600 & 7667 FOR $4,978,632.00 MARCH 3RD. THANK YOU. I want to Claim my Entry to Win A PCHLotto $4,978,632.00 Million! PCH Gwy On March 03, 2018. Well here I am again and I’ll Agree To Win !I’ve chased this PCH Lotto with playing the buttons off for 18 months heavily ! !Im All IN AGAIN with 13 dollars in my pocket for gas !! Im an ELITE SUPERFAN with an 18 month grind in its SPAN !! If this prize escapes I’ll be SHOVE ALL IN WITH TOKENS CLAIMING FORD ESCAPE IN MARCH !I blowed 180 million on the EXPLORER !! This ALL IN SHOVE will be much easier decision knowing I truly gave it my very best possible !! My huge amount of hours involved will definitely have me all in to CASH I N TO WIN !TAKE ME TO THE RIVER !! I want to enter for a chance to win Pch $4,978,632.00 cash prize gwy#s7667 and 7600.
pchlotto winning numbers gwy number 7667 and 7600!!!!! PCH.com. sweepstakes..please accept my Declaration to be in the big Jack pot. .yes yes yes yes… this is my VIP opportunity to win. Yes this is my entry I claim my interview to participate in your game the Rolling Thunder also I don’t know if that’s if they’re the same.. I would like to win these 8180 or 8800 but most of all the remodel. Any would be great!!! I want to win mony from playing bigger buck $ millions rolling jackpot ! Sure hope I can win ! to really obtain useful information regarding my study and knowledge. RoLLing ~> BiGGeR BucKs MiLLionS ! pickEight. Thank you PCH for chance to win! I am Claiming my Bigger Bucks Access Pass today. My claim No. is #101 382 11505. This is from Gvwy #4900. I would love for my name to be placed on the entry so that I have a chance of winning. Gwy. No. 4900. 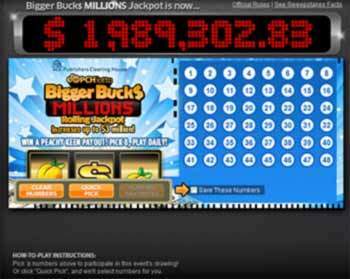 PCH I would love for you’ll to pick my number on the Millionaire Bigger Bucks Rolling Jackpot,1,8000.000.00. 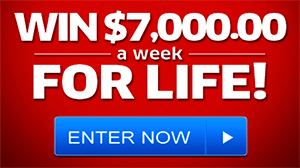 Plus Last few days to enter for the other big prize$7,000.00 a week for Life.PCH GWY #4900. Thank You!! First I would make sure Uncle Sam was cool with it, because I’m on Disability. Then there are about 7 or 8 charities I would give send funds. Get some new teeth(implants). Then I would buy some property out in the country(a nice size piece of land) and probably some new vehicles. I want to activate the maximum bonus opportunity for the big jackpot. PCH GWY NO 7,000.00 a week for life plus the bonus 50,000.00. I really need the help, I never thought that I would fine myself in this position. There is just no way I can think of now to get out, so I need help badly. Trying to get my back together after the pipe busted is very costly on top of that I already had bills and now this is added and trying to make the minimum payment is hard. This as become a day at a time and not knowing what’s going to happen next. New medications just do leave a lot left. So there is no more helping family, others or donating to foundation or charities although I enjoyed doing so. Winning this sweepstake means a great deal to me, it will make it possible to do all the listed things and so much more that I need to take care of. Yes I want to win, it would be a BIG help to me. Winning would be a dream come true, a blessing and what I pray that will happen. Yes, Yes make me the winner of this sweepstake. Thank you. PCH as you know I am in it to win it please let me win the rolling Jackpot! Thank you and have a good night!! PCHLOTTO BIG BUCKS MILLION ROLLING JACKPOT is AWESOME! I claimed my Event Ticket Code L03206 382 101 2015, PRIZE Access Code Pass 101 328 11050, Final Selection List #W3305 for Bigger BUCKS GWY NO. 3148 and the “FOREVER” PRIZE Plus more Gwy.NO. 4900 Prize Event from PCH PRIZE Gwy No.1830/3818/3080/6101/4950/6021/4960/5325/5035/4749/4902/3105/4650/8220/8221. Publishers Clearing House PROPERTIES! I am entering to claim the Millioniare-Making Super prize $5,000.00 a week FOREVER My Number is 33 plus there is more!! Yes i want to win it all,activate my entry code 4944 to win,that prize and confirm my eligibie to ,win it all. Larry . I’m Ready For My Life Change Experience From The Inside Out Publishers Clearing House.Amen. ame and submitting your entry (one entry per day). You will win a prize from Giveaway No. 3148 if the 8 numbers you selected match the 8 numbers randomly drawn on the same day. Prize payout: Match 8 of 8 numbers for Giveaway No. 3148 and you will receive 2.5% of the Jackpot total annually for 29 years and a final payment of 27.5% of the Jackpot total in the 30th year. If the 8 of 8 numbers are matched on a day that an additional lump-sum amount was presented, the winner will receive that additional amount in one lump-sum upfront payment followed by the aforementioned payout. For Me Faith Is Knowing That I Have A Blessing With My Name On It Publishers Clearing House.Amen. Publishers Clearing House I’m Waiting Patiently On My Turn. Amen. OMG!!!! This is a lot of monies, I truly want this, I wanna wanna WIN!!!! Yes PCH I wanna Win $1,000,000.00 – $3,000,00.00, pls grace me as being the Winner, thnx Pauline…. Oh yeah!!!! Pls enter my Entry for this sweepostaskes,PCH Lotto Bigger Bucks Millions, pls make ALL my Dreams Come True!!!! I was informed that I had winnings on the lotto games. I would appreciate any help that anyone can give me on how to claim this. Thank you in advance of any help you may offer to me. If I could win big, then I could donate my first thousand to an ophren home, then buy me some teeth, a home of my own, and become a foster parent, and still have more to offer than just prayers to others less fortunate than me. I would love to be able to take a vacation to pch headcorders and have a big photo taken. My PC number is PC****. Unable to enter it. Have cancer could use the $!